Here on the east coast of the US there is a big astronomical and astrological event in store for us. As we move into Samhain and the Celtic celebration of the beginning of a new solar cycle we also, on Sunday morning, experience this Sun/Moon conjunction and eclipse. I am already feeling the effects of the “dying” Moon as she slips ever closer toward the Sun. As I write she is at almost 14 degrees of Libra while the Sun is 9 degrees of Scorpio. Only 25 degrees separate them and the Sun is winning the race; he always does. Are you ready for something new in your life? The New Moon on Sunday, November 3 at 7:49 a.m. Eastern Standard Time is a Solar Eclipse and supports you in bringing in the new energies that support your transformation. As old thought patterns break energy is set free for new creation. Energy flows where attention goes. All we need to do is focus on what we wish to be, feel what is needing to be let go and breathe. Energy moves with the breath. As old forms dissolve energy set free is moved into new forms, this is transformation. I particularly appreciate the ease about this event Steve permits: “let go and breathe.” Transformational work can sometimes feel hard. I think this is the ego’s way to defend against change. The ego does not like to “let go.” I know mine doesn’t! But I certainly do like the “breathe” part – even my ego appreciates my breath work! So I think to slip into Hamsa. This mantra is always there, of course, but not always top of consciousness. Part of the allowing of old patterns to slip away as the Moon slips into the grasp of the Sun is to set our attention on the breath, to follow the mantra “chant” as we breathe through our whole bodies. On Ham we breathe in the energy of change, the energy of the eclipse to allow the approaching event to consume old patterns, old thought-forms, old structures. And on Sa we exhale the old, expelling those patterns that no longer serve in this new awareness. With each breath-cycle there is an opportunity for transformation. With each Moon-cycle there is an even greater opportunity for transformation. 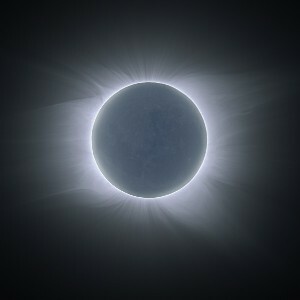 And with this approaching eclipse there is “a most powerful” opportunity to eclipse those old patterns totally and breathe in Transformation! However you celebrate these exciting astronomical and astrological events do remember to breathe through them and simply let go!